Rinse all the ingredients with water. Soak the dal, rice and poha in water with fenugreek seeds. Let it sit for 6-7 hours. Grind this mixture and add some water to it. Add a cup of ragi and some water to achieve the desired consistency. Keep the batter aside for 8-9 hours for it to set perfectly. Check for a rise in the level of the batter. If a significant rise is visible, your batter is ready for idli-making. Pressure cook dal with 3 cups of water, salt and turmeric powder. After 3 whistles, take the dal off the heat and mash it till the desired consistency is achieved. Add 4 cups of water to the vegetables and boil them till they are moist. Add Organic Tattva Sambar Powder, salt and the mashed dal to the vegetables. Cook all these ingredients for 5 minutes on medium flame. Add tamarind pulp. For tempering, take a heavy bottom pan and add oil/ghee. 7. Add mustard seeds to the oil/ghee. Once the seeds start crackling, add heeng, curry leaves and whole chillies. Pour this seasoning on the sambhar. Stir well and keep it on simmer for another 5-10 minutes. 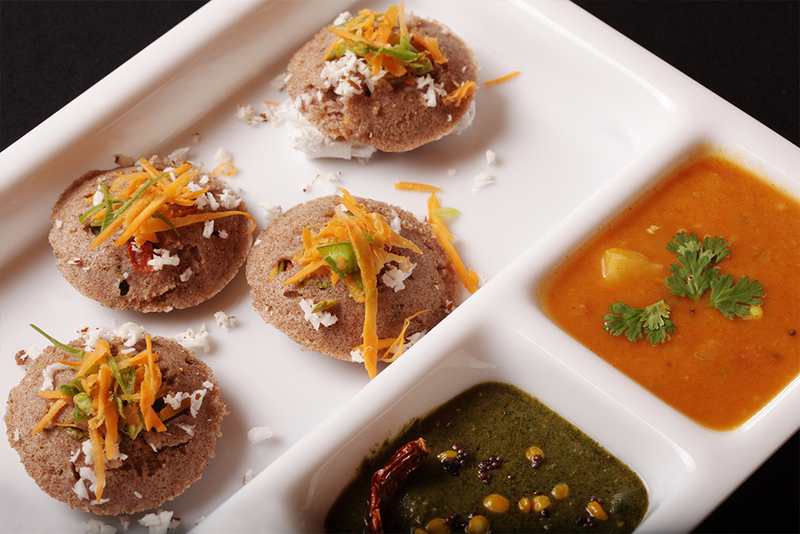 Serve hot sambhar with idlis.